Pathways – United Way of Central Alabama, Inc. Pathways offers a range of transitional and long-term services for homeless women and children. Through its downtown Day Center, the agency provides food, clothing, showers, laundry facilities and case management. 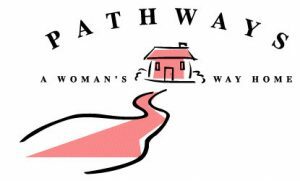 Pathways operates a transitional shelter at its downtown location for women without children as well as a rapid rehousing program for women with children. The agency’s Safe Haven program provides permanent, supportive housing for chronically homeless women with a mental illness. This program is the only one of its kind for women in Alabama. The mission of Pathways is to end homelessness for women and children through hospitality, housing and hope. Pathways is a United Way agency that serves 1,300 women and children experiencing homelessness in the Birmingham area each year.